At long last! I finally made it to The Old Lion in Harborough Magna, winner of Warwickshire's Best Destination Pub in the 2017 Muddy Stilettos Awards - and it was roar-some. 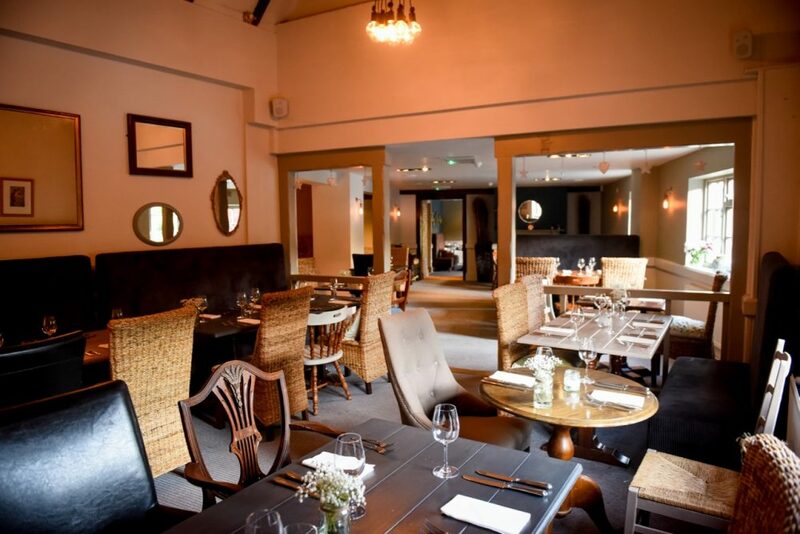 People flock from miles around to this brilliant foodie pub in the small pretty village of Harborough Magna, 5 miles north of Rugby, mentioned in the Domesday Book as Herdeber. 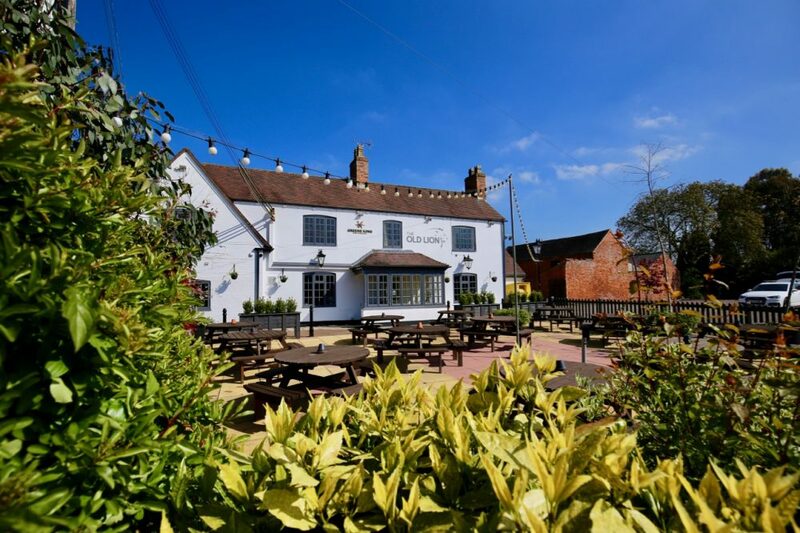 Close to Junction 1 of the M6 it adjoins the hamlet of Harborough Parva and is surrounded by miles of fields and countryside on the eastern edge of Warwickshire, near the borders with Northamptonshire and Leicestershire. 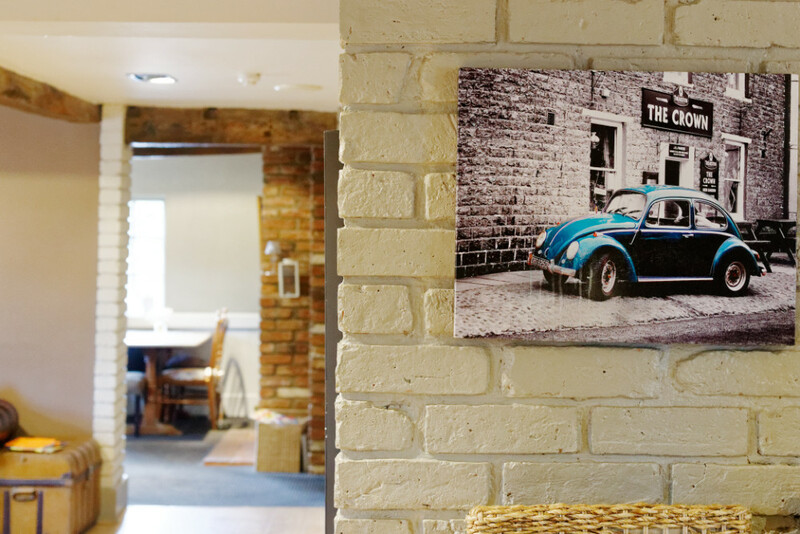 A large refurbished thriving country pub with a great local reputation for excellently presented, locally sourced, handcrafted food. The vibe is relaxed. friendly and informal. The modern bar area is pleasant and functional with a mix of cosy snugs, wood stacks, a stylish mix of dark blue and cream walls, comfy sofas, tiled period fire-places and there’s a more traditional restaurant catering for 75 covers (across both areas) in a high-beamed dining room with dark wooden tables, an eclectic mix of rattan antique wood and leather high-backed chairs, an antique dresser, a wall of mirrors and quirky art. 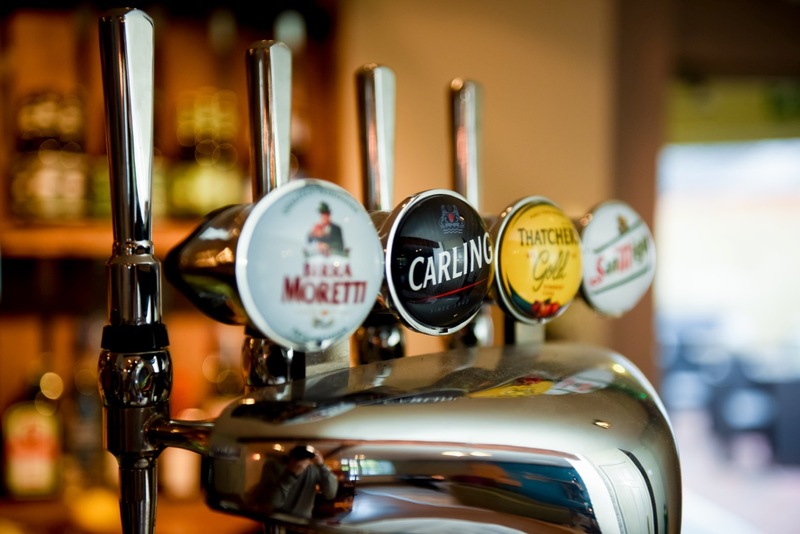 There are two beer gardens – a large, attractive outdoor seating area to the front surrounded by fairy lights and a rear garden. 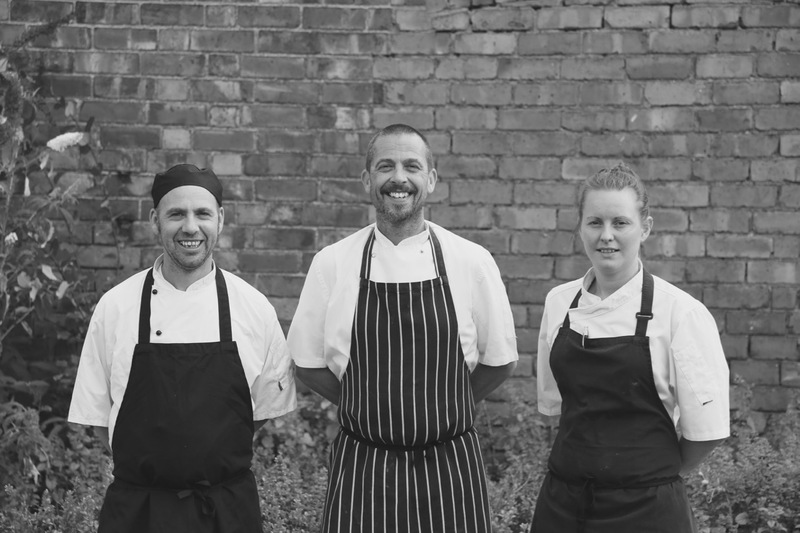 Talented Head chef Eddie Dalton is one of five chefs at the pub. 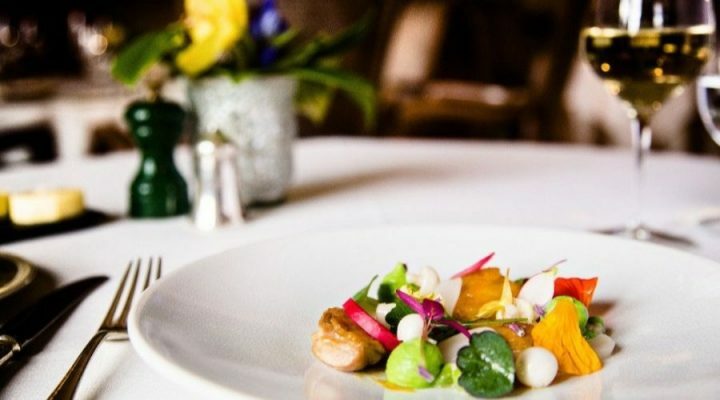 He has more than 20 years’ experience in gastropubs and restaurants including the former Michelin-starred restaurant Turners in Birmingham and another Brum institution, The Bucklemaker. New Sous Chef Kirsty Collins got to the 2016 quarter finals of BBC 2’s MasterChef: the Professionals! 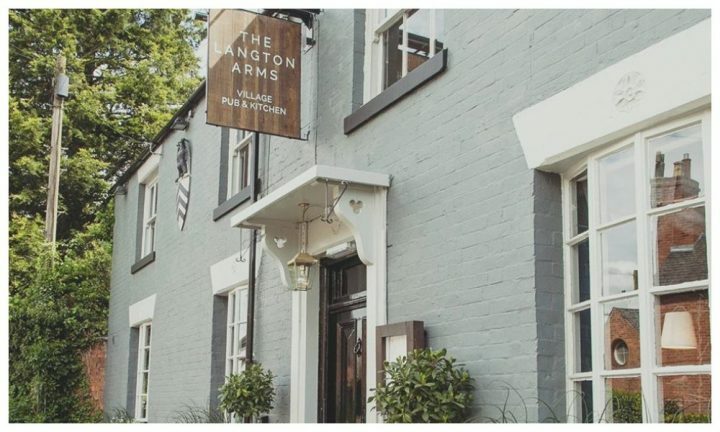 She was previously Head Chef at a two rosette pub – The Narrow Boat at Weedon reviewed here by Muddy Northants’ intrepid ed Anna Lou! Experienced Junior Sous Chef Sean Connor is also on board full-time. 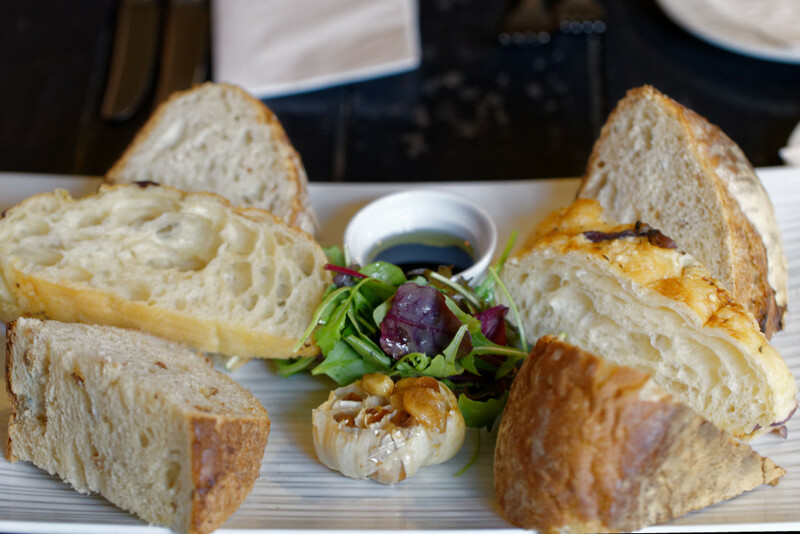 Popping over for a mid-week ‘working lunch’ Mr Muddy and I shared a chunky, artisan Revel Bakery Bread Selection with roasted garlic, olive oil and balsamic vinegar to start. I love this local bakery based nearby in Little Walton, Pailton, which has a patisserie shop in Churchside Arcade, Rugby revitalised after its former premises in the Malt Kiln Farm shop was devastated by fire last summer. Other starters range from Hand-crafted Scotch Egg served with soldiers to Greek Lamb Skewers and Crispy Halloumi Chips with chilli carrot salad. 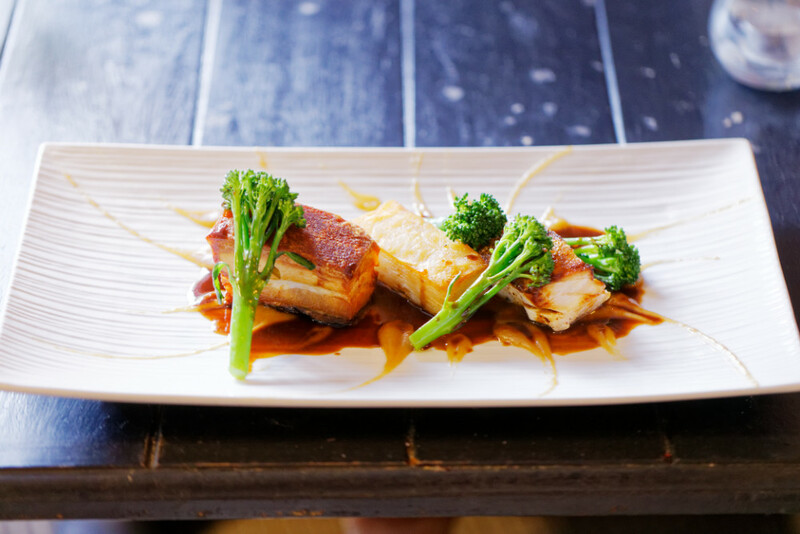 For the Main Event Mr Muddy was blown away by his Cod & Pork Belly, accompanied by a cleverly layered potato terrine, spiced apple puree, tender steam broccoli and red wine jus. He was so impressed at the skill in creating the potato terrine Eddie took a break from the kitchen and explained how to make it. Simples! 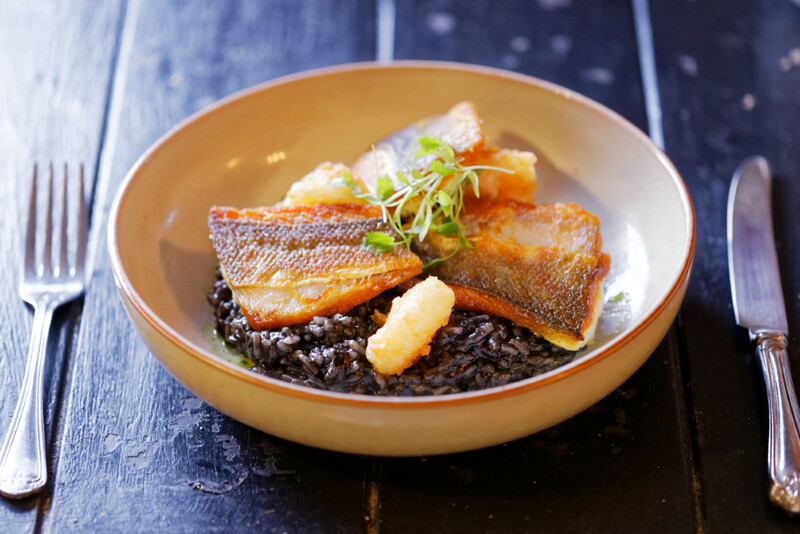 I had the Pan-Fried Sea Bass which was deliciously crisp with tempura king prawn and really tasty squid ink risotto. I was also tempted by the Butternut Squash Risotto, Halloumi Stack and Smoked Haddock with Bombay potatoes. 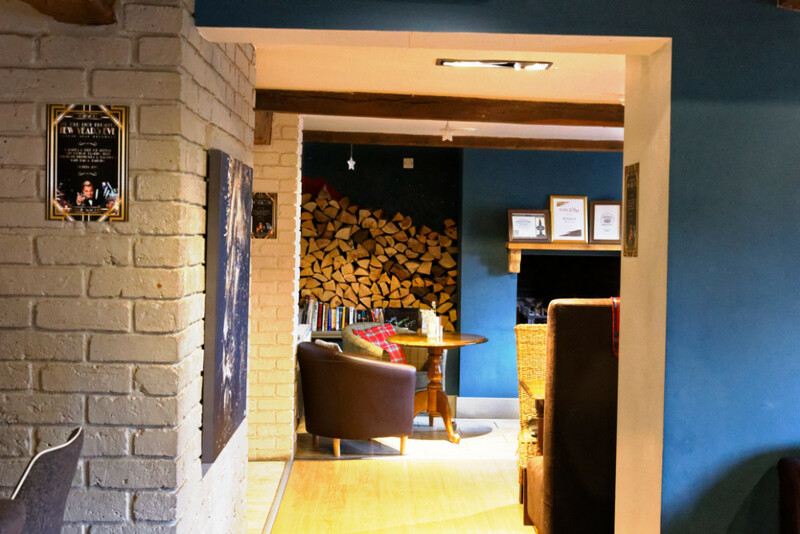 There are lots of interesting choices, daily chef specials, pub classics like Steak & Ale Pie, steaks from award-winning Joseph Morris Butchers in South Kilworth, as well as Pizzas and salads. Mr Muddy and I shared the beautifully designed Dark Chocolate Fondant for pudding. 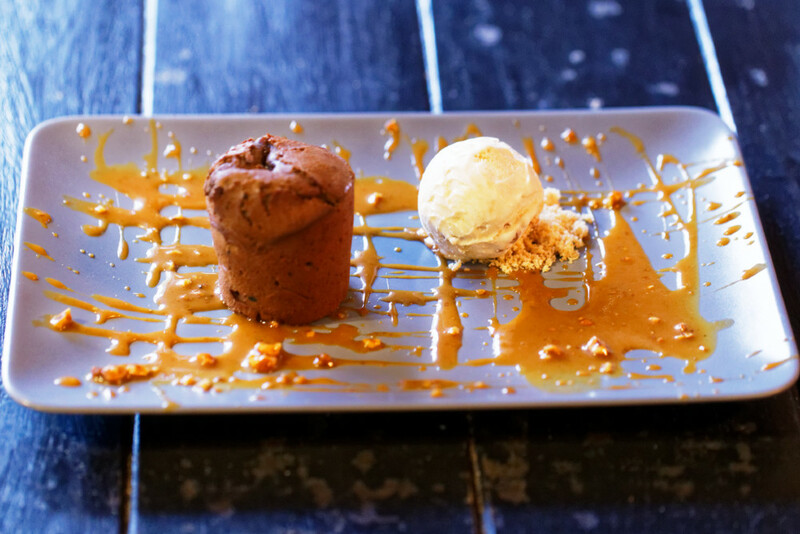 The way the salted caramel was artfully splattered over the plate looked almost like a piece of abstract art. It was just right, not too sweet, and perfect with a coffee. 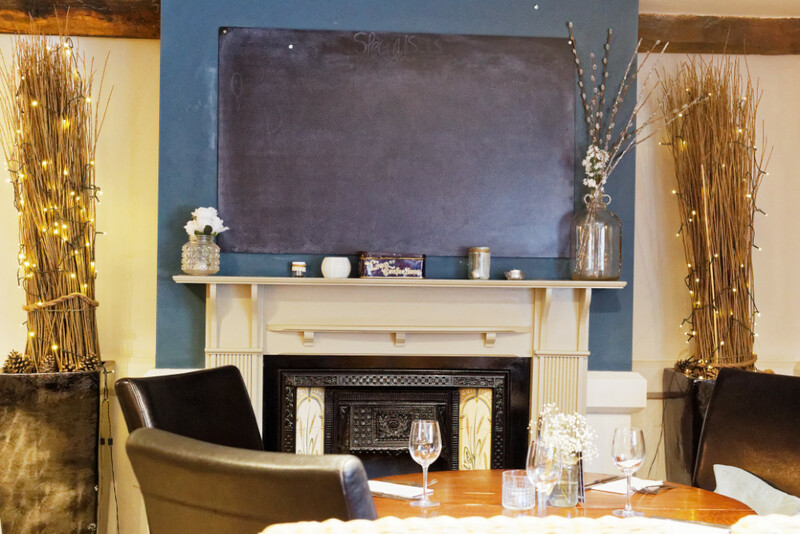 You’ll be pushed to get a table on the weekends so booking is definitely advisable – especially as they serve up one hell of a roast with three meats available weekly – sirloin of beef, free-range chicken and British lamb with all the trimmings from just £12.95! It’s very popular. 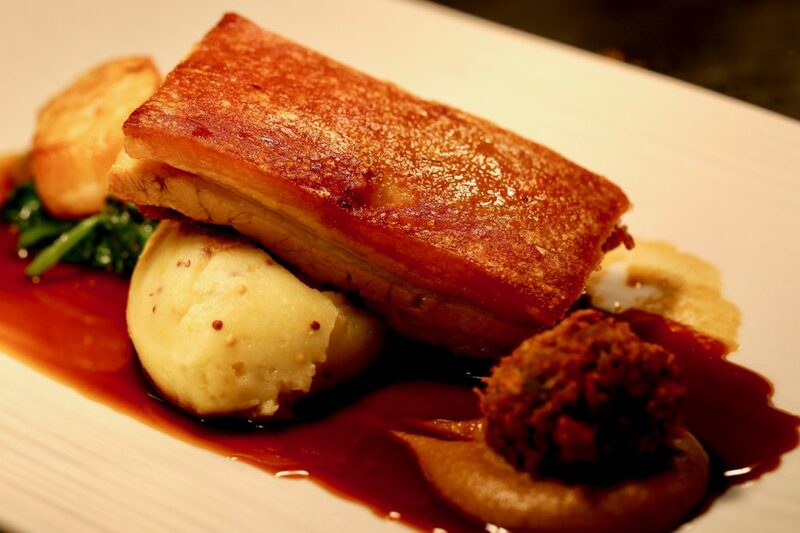 Here’s a little taster to set your taste buds off…if you’re a carnivore, that is. The Christmas menu runs from Thursday November 23 until Christmas Eve, alongside the main menu, filled with festive treats such as Brie and Cranberry bon bons, Free-range Roast Turkey, Spiced Vegetable Strudel and White Chocolate Cheesecake with Winter berry compote (from £23.95 for two-courses, £27.95 for three). 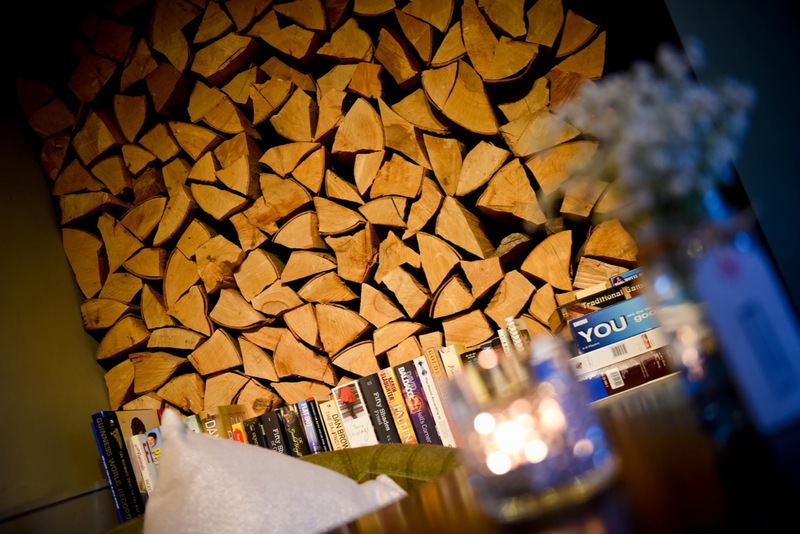 A well-stocked bar is what we like to see! Yep, I know a lot of families in Rugby who love coming here – particularly for birthday treats and special celebrations! There are 5 menu choices on the Cub menu – Cheesy Tomato Pasta, Sausages, Chicken Goujons, Mini Margarita or Posh Fish Fingers, all served with a choice of two sides – chips, salad, peas or beans for a fiver. Ice-cream or a fairy cake to decorate is £2.50. The kid’s menu also comes with a lion picture to colour-in always a life-saver when keeping small children entertained at the table. 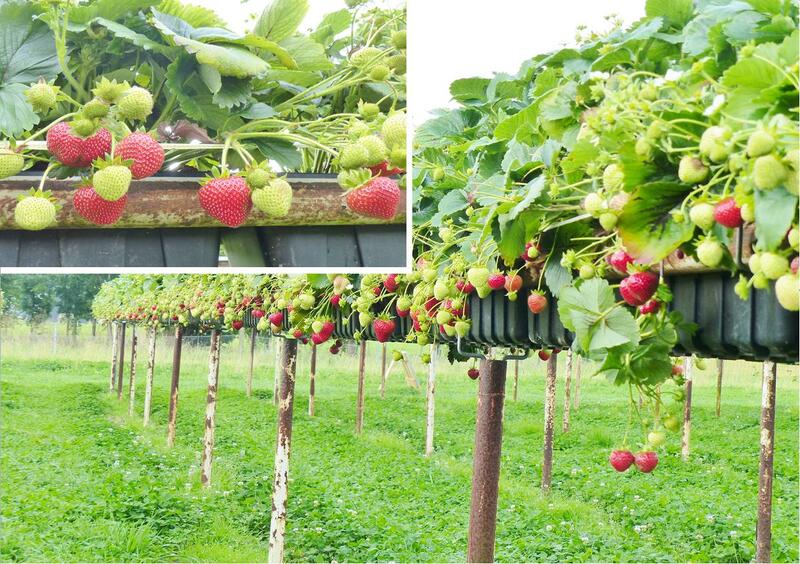 If you’re a fan of fresh local produce or strawberry picking in the summer the Malt Kiln Farm Shop is just down the road in Stretton-under-Fosse. 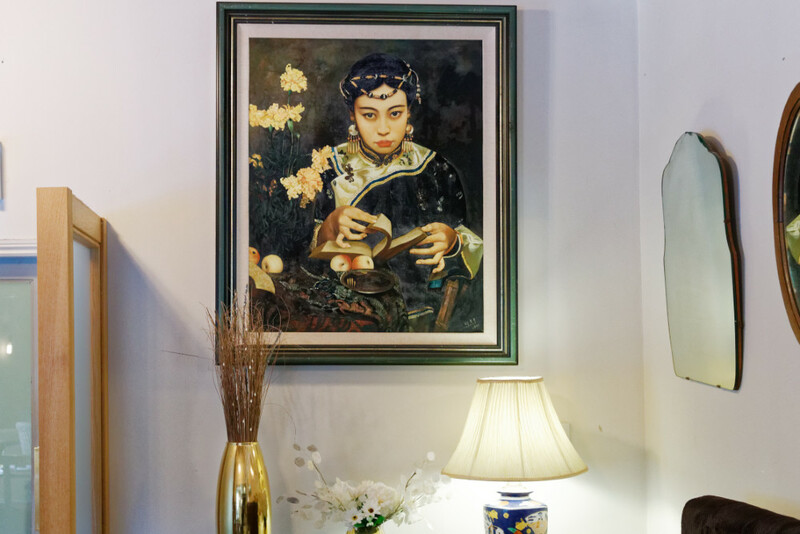 Head over to nearby Rugby where you can pre-book a tour of Rugby School & Museum, see a show at the town’s vibrant Rugby Theatre – one of the most established amateur theatres in the country – and Rugby Art Gallery & Museum. Potter around Rugby’s independent quarter where there’s some lovely shops, fab indie clothes stores, including the Muddy Award-winning upmarket ladies boutique Terracotta, newly expanded Albie & Lonnie’s, and super-trendy Muddy finalist Sass, run by stylist Louise Golding (Business Person of the Year in the Pride of Rugby Awards 2017). 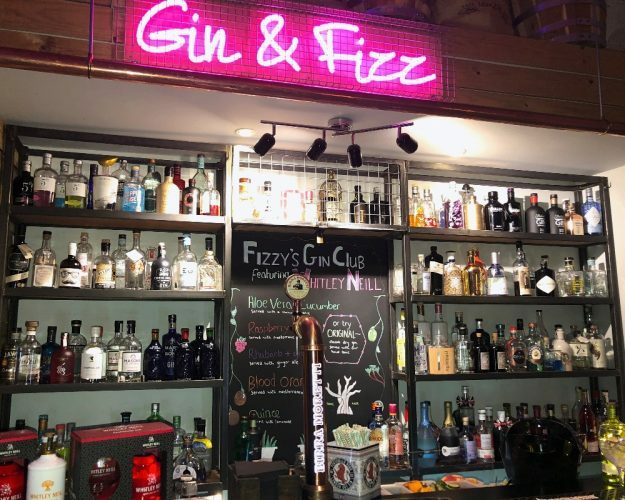 There are some good coffee shops and bars too, including Oliv HQ (good for afternoon tea), the family-friendly two-storey Bacco Lounge with its retro styling, Cafe Vin Cinq & Bar 25 and The Distillery for gourmet burgers and cocktails. Fancy some fresh air? Enjoy a stroll, cycling or sailing at Draycote Water reservoir near Dunchurch, or Ryton Pools. 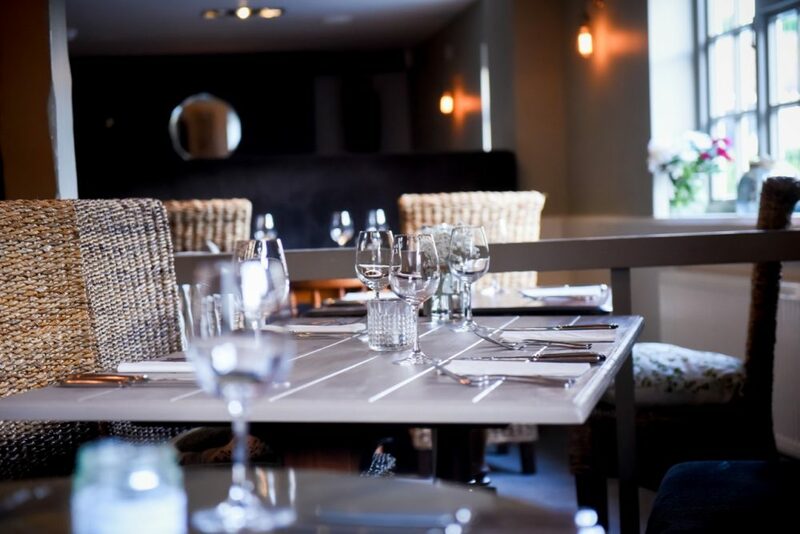 Good for: A bite to eat at lunchtime from the comprehensive Set Lunch Menu (£13.50 for 2 courses/3 courses £16.50), family celebrations, Sunday roasts, a romantic night out or a Christmas meal with the girls in a relaxed atmosphere. Not for: Popping in for a quick pint (you’d be a fool not to eat). Anyone without four/two wheels – it’s a very rural spot. 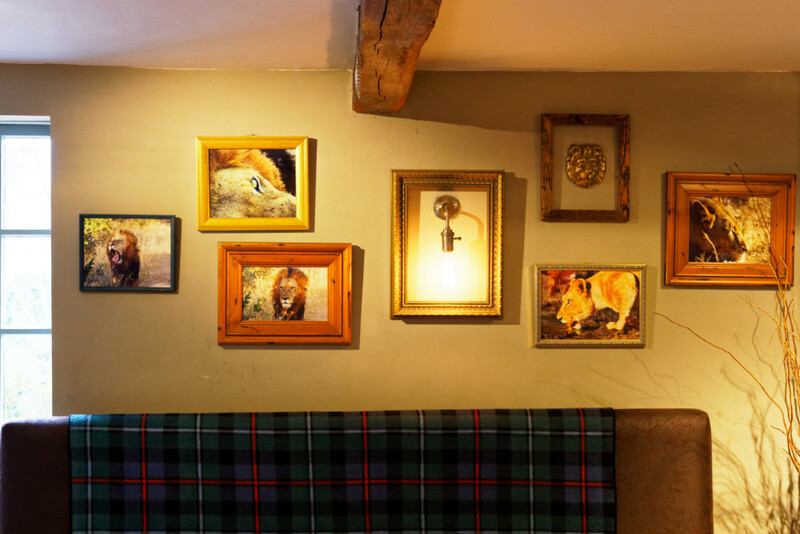 The damage: The prices are very reasonable for such exceptional pub food, with starters from £4.50 – £9.95 and mains from £11.95 – £17.95. 28-day dry-aged Steaks £20.50 – £26.50.